The past two years proved to be very fruitful in the world of neuroscience, with both academia and industry exposing new secrets of the mind and unveiling yet more awe-inspiring gadgets. The year has not only delivered incredible breakthroughs in neuroprosthetics, visual stimulation and mind-reading, but also witnessed a substantial leap forward in our understanding of the “connectome” – the complex universe of neuronal pathways and interactions which shape the mind. Most remarkably, it is becoming increasingly clear that our practical knowledge of grey matter is improving at electric speeds, as more and more life-saving technologies contest to humanity’s neuro-scientific accomplishments. Below is a collection of some of last year’s prominent advancements, starting with perhaps the most celebrated: the thought-powered leg. Having lost his limb in a motorcycle accident, 31-year-old Zac Vawter was fitted with a bionic replacement, called electromyeloid prosthesis—operated entirely by his mind. 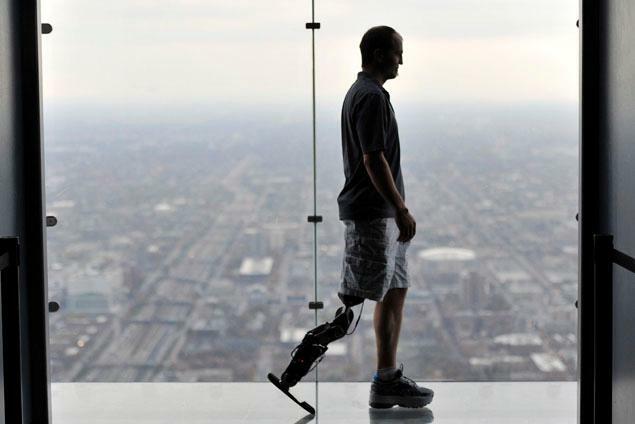 The neuroprosthetic was initially developed at the Rehabilitation Institute of Chicago (RIC) in 2005, and has reached the peak of its performance last year, when Vawter demonstrated the bionic leg’s awesome powers by climbing 103 flights of stairs of Chicago’s Willis Tower—even skipping two steps at a time. The device works owing to “targeted muscle reinnervation” (TMR) –essentially a re-wiring of the patient’s neuronal pathways. When Vawter’s leg was amputated, the nerves of his lower leg were surgically rerouted to his hamstring, where muscle signals powering his neuro-robotic leg now originate. Legs have not been the sole limb eligible for neuro-replacement: in 2001 researchers at the Rehabilitation Centre awed the public when they fitted bionic arms for Jesse Sullivan, a 40-year-old electrician who lost both limbs in a work accident. Hundreds of neuroprosthetics have since been implanted, getting incredibly nifty from year to year. Therapeutic neurostimulation has also been hot off the conveyor belt last year. Israeli Brainsway is a developer of a Transcranial Magnetic Stimulation (TMS) device which, in essence, is a fancy name for a deep brain tissue massager. 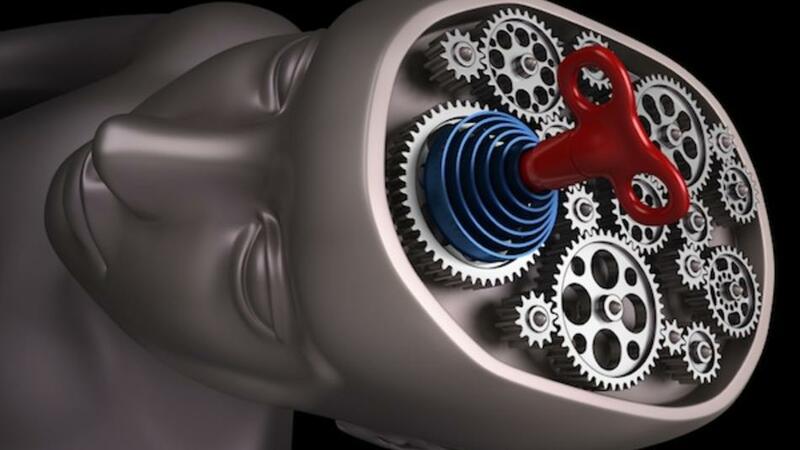 Brainsway’s key technology—Deep TMS System—exploits our knowledge about areas of the brain responsible for depression and other neurological disorders, the likes of which are Alzheimers and schizophrenia. 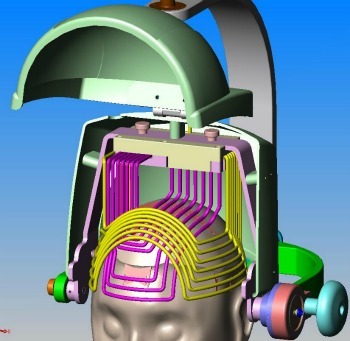 The system comes in the shape of a brain helmet which offers completely non-invasive electromagnetic neurostimulation of grey matter. By stimulating areas responsible for depression, the TMS helmet offers an effective 15-minute anti-depression “cranial massage”. Sounds a little sci-fi? The FDA does not think so—the agency has recently approved Brainsway’s TMS system for the treatment of depression patients who have not responded well to other treatments, and the company is working on expanding their therapeutic targets towards autism and Parkinson’s disease in the near future. Not any less important on the list of last year’s breakthrough neuro-developments is our newfound mind-reading ability. Using electrodes to detect spikes in brain activity, scientists have been able to map areas of the brain responsible for a plethora of thoughts, actions and emotions. They have now put that knowledge to use, quite literally communicating with a comatose patient with the use of an fMRI scanner. 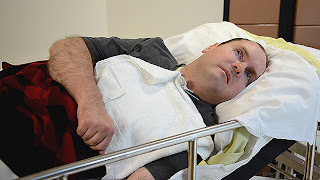 A man believed to be in a vegetative state for 12 years was able to tell doctors he was not in pain, kick-starting what has since become a revolution in our understanding of the comatose state. The occurrence caused medical books to be rewritten, as it gave us the ability to communicate with thousands of patients previously deemed unresponsive. Since its inception mind-reading wasted no time expanding beyond hospital walls. 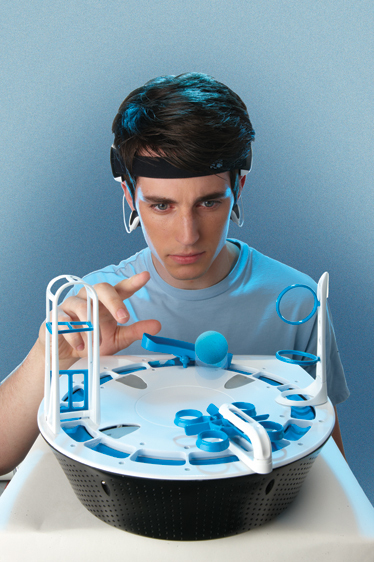 Last year has brought up the phenomenon of mind-controlled gaming (MCG)—and the dangers this form of entertainment carries with it. Despite its early stages of existence, MCG has gained popularity in recent years, and developers like NeuroSky and Emotiv are already marketing devices which detect and interpret brain waves via external electrodes. The issue is—our understanding of this type of interface is akin to our familiarity with the brain—the foundations are certainly in place, but hardly solid enough to embark on an elaborate build. With that said, an important finding emerged at last year’s Usenix security conference in Seattle: mind-controlled interfaces pose a very realistic threat of “brain leaks”. In other words, in what is probably the most fearsome of worldly exploits, a hacker who gains access to an MCG device can potentially access the user’s thoughts. Particularly at stake is private information such as pin codes and passwords, which can be deduced via spikes in electroencephalography (EEG) readings in response to words and images familiar to the user. 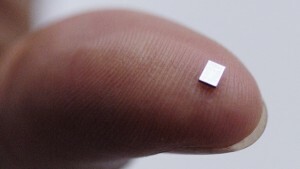 And it looks like the burgeoning thought-stealing market comes with its very own weapon: a memory chip now exists in its literal form. Scientists at the Wake Forest University and the University of Southern California have, in an ingenious set of experiments, demonstrated successful thought implantation in mice. Having observed specific brain activity in mice familiarizing themselves with a maze, scientists then implanted a microchip in the subjects’ brains which could be programmed to stimulate the same set of neurons in a different setting. Thus, once a mouse memorized mazeA, for instance, and was then moved to mazeB, a specific memory pattern could be triggered by the implanted microchip which would bring up memories of the familiar maze. Much to the scientists’ astonishment, the mouse would follow the same familiar trail in any new environment—but only if its “familiarity neurons” were triggered by the microchip. Even more bizarrely, the same implant in a completely new subject’s brain brought up the same hybrid memories. The implications of this research are unfathomable: starting with interfering with harmful memories of trauma or disease, all the way down to sci-fi manipulation of the mind we have for so long anticipated in fear. And just when you thought neuroscience couldn’t get any more awesomely frightening, false memory implants can now be completed with a full set of artificially-controlled decision making. As a harbinger of what forward-looking science authors have previously dubbed the menticide, scientists have demonstrated the ability to correct the decision-making process in cognitively impaired non-human primates. The MIMO (or multi-input multi-output) prosthesis is able to learn from correct decision-making patterns in the brain, and to “replay” them in primates which were mentally impaired following drug administration. The MIMO was able to improve decision making 10% above the norm—and that is just the beginning. Researchers hope that in the future this type of device will benefit people who have suffered strokes and brain injuries which resulted in diminished cognitive ability. A similarly wonderful technology which neuroscientists claim is only 5 years away is “webcam vision”—a technology which is based on artificial stimulation of the visual cortex in visually impaired patients. For some time now it has been known that blind people are able to “see” just with their brains, and a prosthetic device which could detect the external environment and generate basic images in the brain is only half a decade away. Currently, a team of scientists at the University of Texas are generating a detailed map of the visual cortex, and are hoping to begin working on a visual prosthetic device in the near future. And last but certainly not least, alongside the fascinating annual developments in the sphere of neuroscience runs our continuous effort to fathom the complex macrocosm which unites every neuron, synapse and chemical signal in the brain. 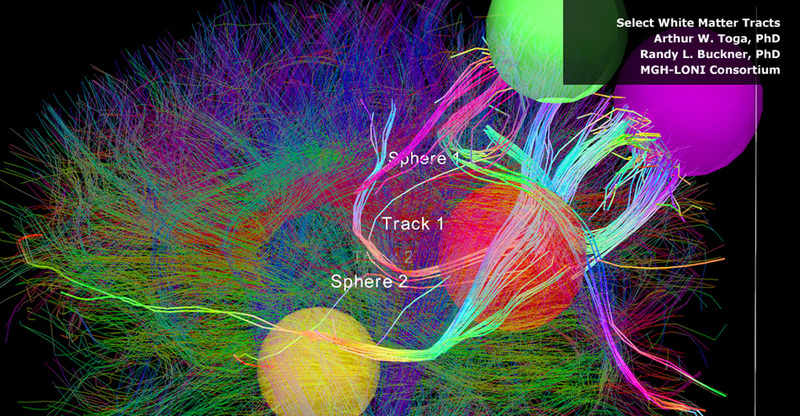 A massively ambitious effort to map brain synapses, titled “The Human Connectome Project” has been underway in the neuroscientific community. Not only does the initiative hope to re-create a complex 3D neuronal map of the brain, but it also aims to answer the very basic question of how neuronal synapses—or nerve crossroads—are formed, and what influences this formation. 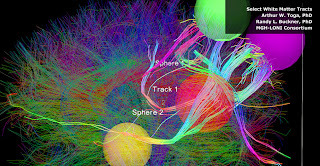 A breakthrough milestone was achieved in this sphere in 2012: scientists were able to unveil key principles which guide the formation of neuronal interceptions, and applied these principles to a computational structural prediction model. In this way they were able to demonstrate that brain neurons grow independently of each other, and form connections once they intercept each other’s paths in the brain. The implications of such a development are not negligible: the breakthrough has brought us eons closer to a realistic possibility of an in silico brain reconstruction. Last years' key advancements showcased here would probably sound like yet another science fiction novel to the untrained ear, but ironically they are mere specks in the rich and succulent broth of neurotech progress today. The pace with which the field of neuroscience has been advancing in recent years is unparalleled by any other sphere of knowledge, and the coming decade will inevitably bring about exponential leaps in our abilities to treat, shape and harness the mind. One thing is clear: if the past is any indication of the future, the future is absolutely neuro-tastic.